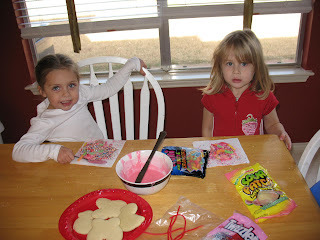 We had Audrey over to play today so I thought it would be fun for the girls to decorate their own sugar cookies. I have never seen such amazing work before. 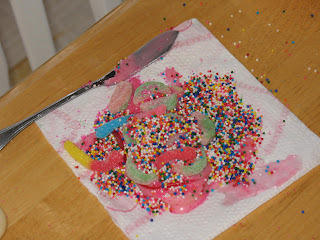 Somewhere under all the frosting, sprinkles, and candy is a cookie! Yummy!!! Did they eat those cookies? We miss you up here! I'm excited to see you in January! You've been tagged! check out my blog. You are such a fun Mom! You go girl!